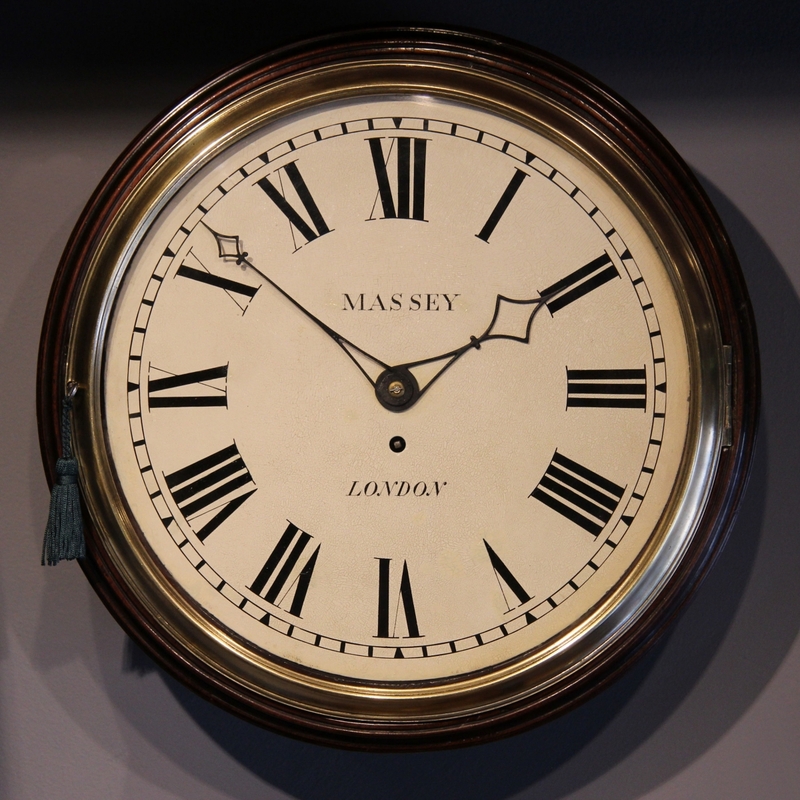 A very attractive and rare fusee wall clock. 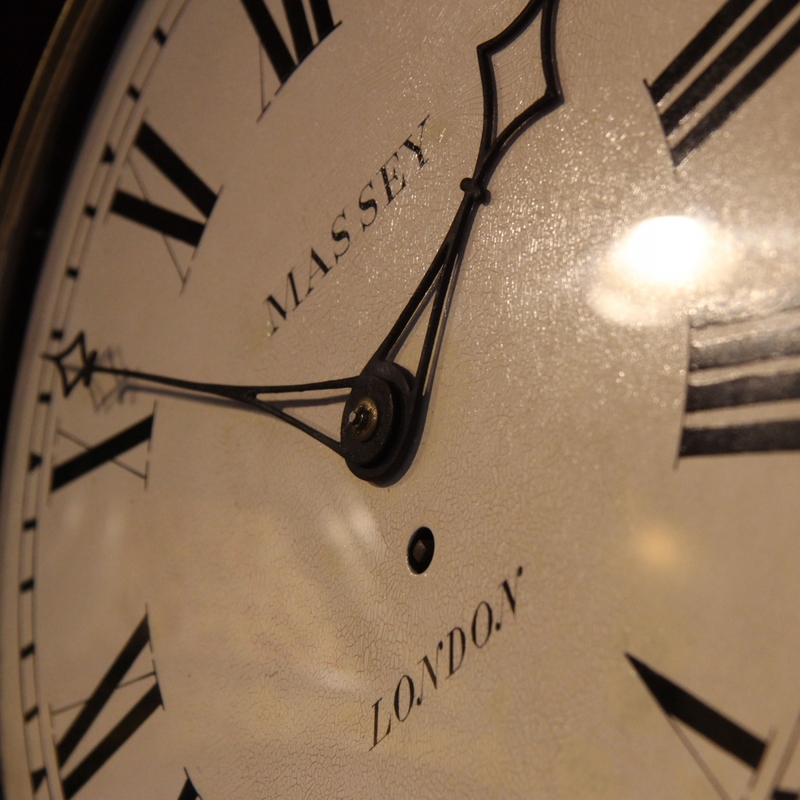 The eight day duration, four knopped pillared, gut fusee movement with Graham Dead-beat escapement and tapered plates. 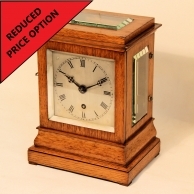 Unusually, it is fitted directly to the case sides by an iron strap similar to 18th century English Cartel clocks as opposed to the usual, dial method of securing the movement to the case. 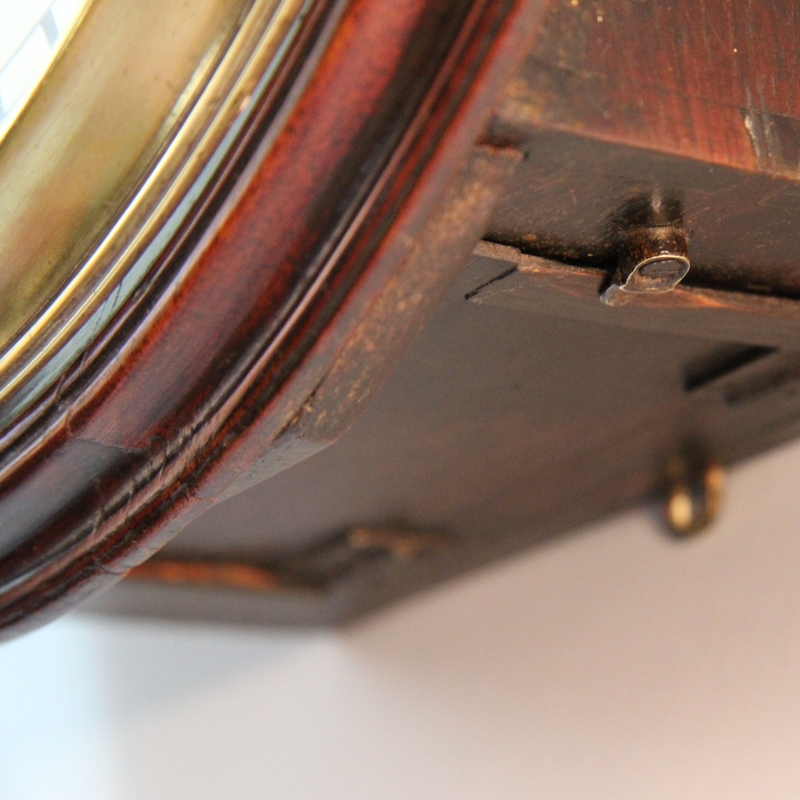 The backplate has several repairer's marks dating onwards from 1824. 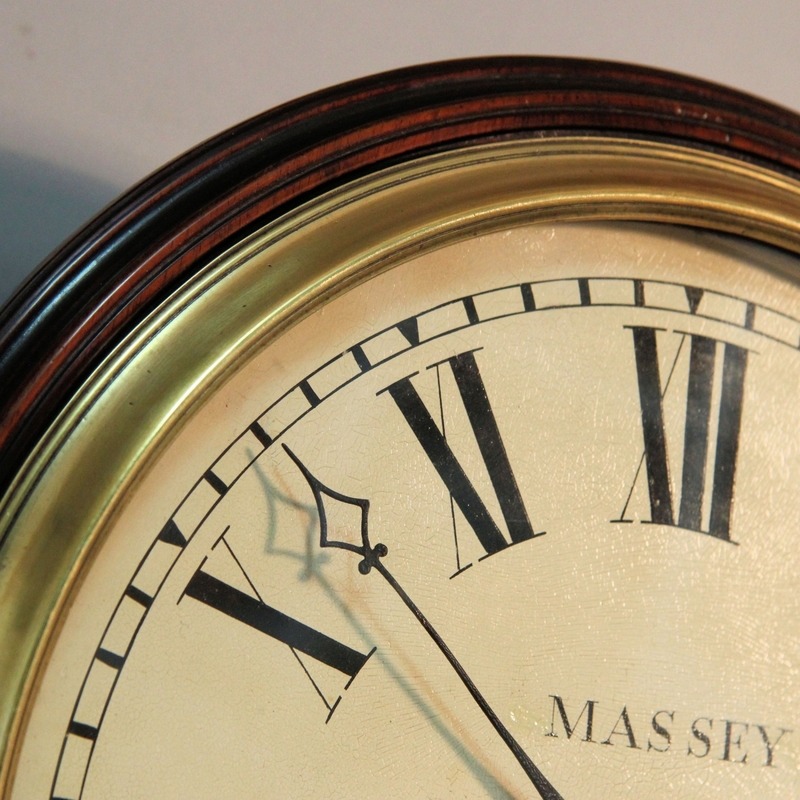 Fitted to a twelve inch diameter painted brass dial with cracklelure base paint and black Roman numerals, outer minute ring and bearing the maker's signature of: "MASSEY (of) LONDON" above and below the centre. 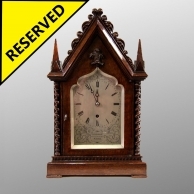 Also having matching pierced diamond design steel hands and a cast, locking, 'Sheraton' style brass bezel with flat glass and attractive 'Bow' key. 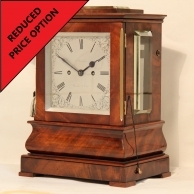 Contained in a well-proportioned, mahogany case of excellent colour and patina, with a well executed moulded dial surround and the rare early feature of a flat-bottomed back box with lower and side doors and brass securing tabs. 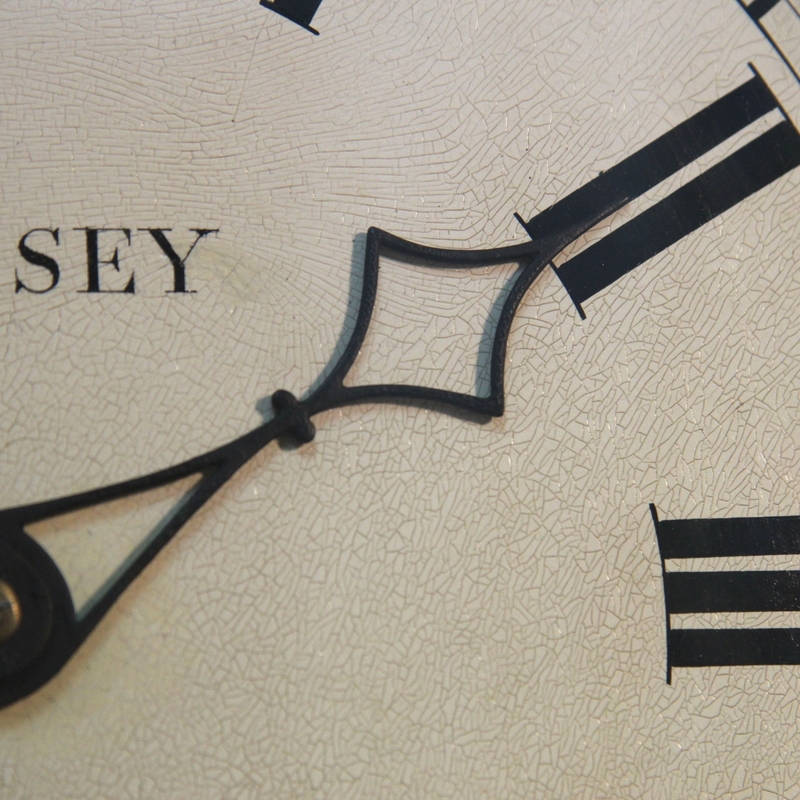 * This appearance of this clock is stunning. 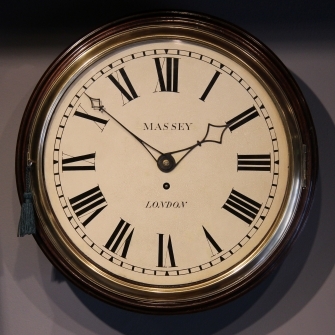 The dial, case and movement (the escapement may have originally been Anchor recoil but it is impossible to tell) are in exceptional and original condition right down to the bezel lock and key, dial finish, hands, hinges, case finish and bezel etc. 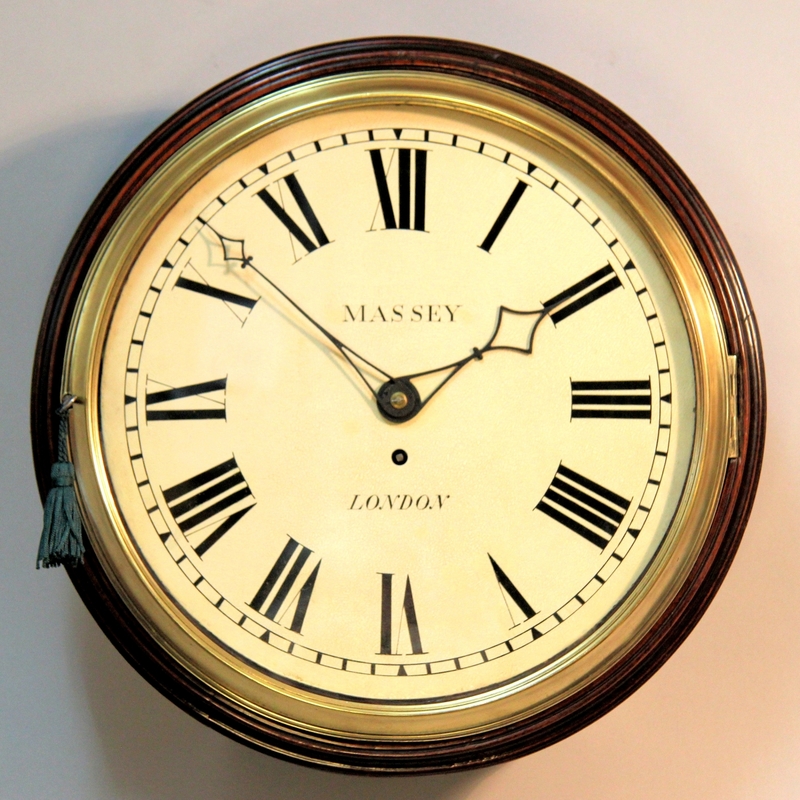 Many features such as the dial being made from brass rather than iron, the flat bottom to the back box, the unusual movement fixing and the profile of the dial surround place it in the category of 'Transitional' from early to later form. 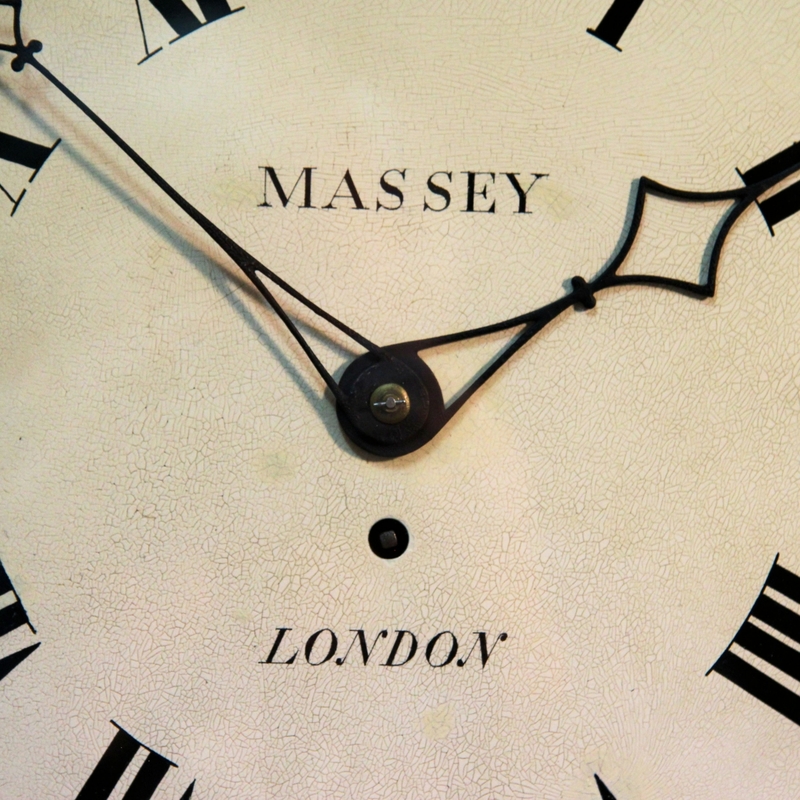 There is a maker, John Massey recorded in Lambeth, London from before circa 1776 until 1825. 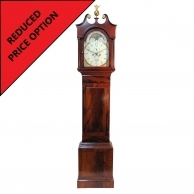 ** I Have found it extremely difficult to ascertain the year of manufacture of this clock and have therefore taken a conservative view. 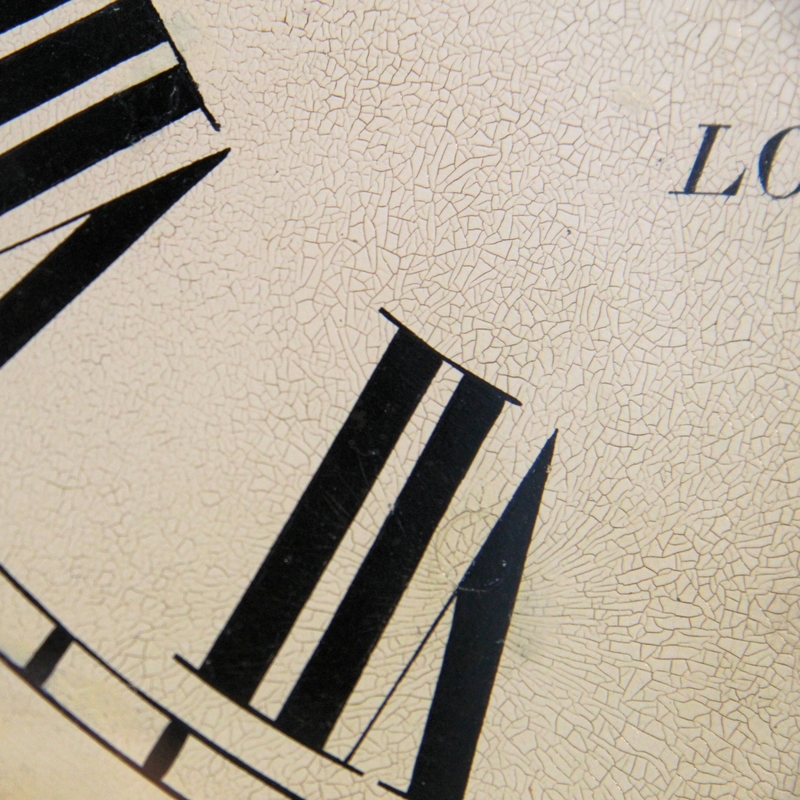 It would not be unrealistic however, to place a date as early as 1790 upon it. 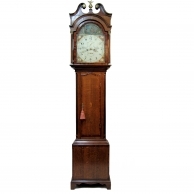 Dimensions: 14 3/4" wide x 5 7/8" deep. Condition: Excellent and beautifully original.